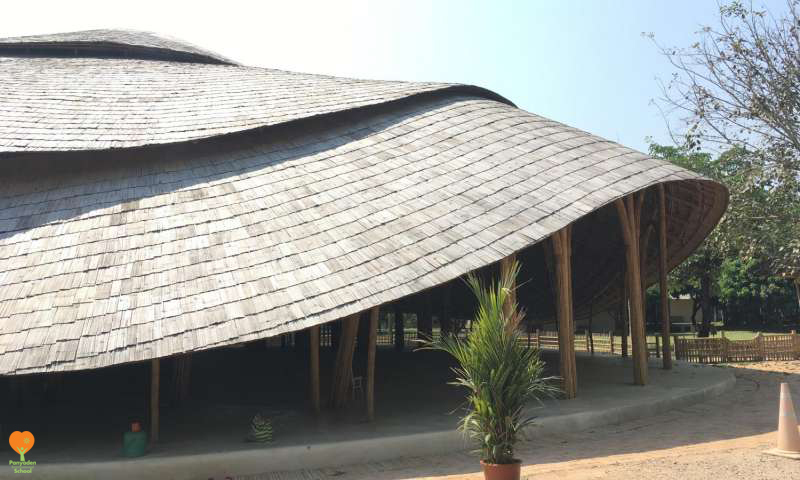 Panyaden International School’s bamboo Sports Hall is featured in Tech Xplore, an online science, research and technology news service covering a range of subjects including physics, earth science, medicine, engineering and other sciences and technologies. “As the climate is mainly hot or wet, it became important as the school grew to provide for a sheltered sports arena. Thus the Panyaden International School Sports Hall was conceived,” said the designers and builders, Chiangmai Life Architects. Read the article here. See more photos of our unique bamboo Sports Hall here on Panyaden’s blog image gallery. This entry was posted in Featured Posts, Green School and tagged bamboo sports hall, earth science, Panyaden, Panyaden International School.